Can you feel the warmth? Jupiter has completed a 12-year cycle and is restarting his journey around the zodiac. A primal life force is igniting within each of us even in the dark and cold of winter. Meanwhile, Saturn is beginning a retrograde that lasts into June. His journey will play out ever so slowly. Keep stoking the light within. More’s in my five minute spoken forecast. 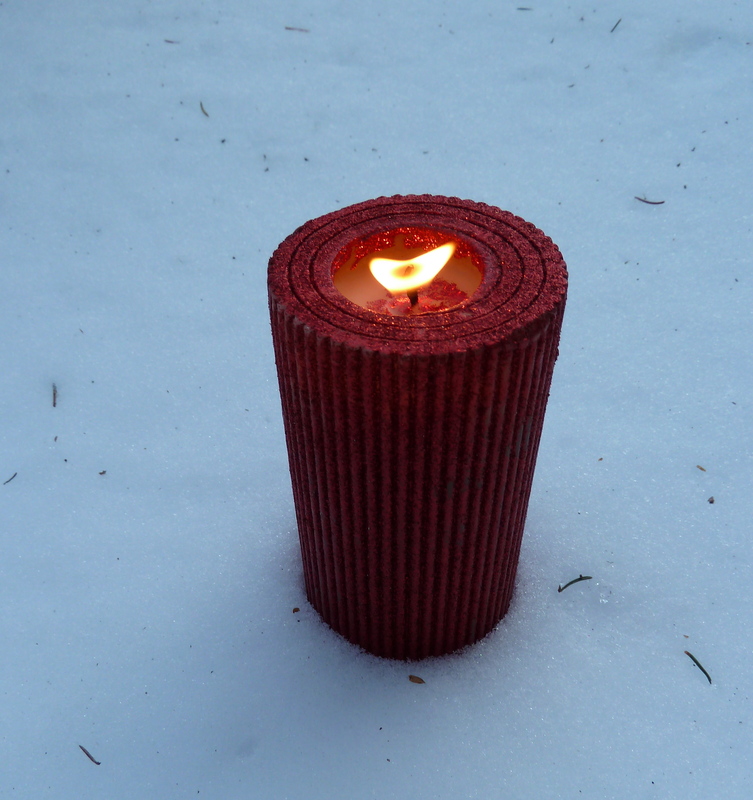 We're all like a candle in the snow right now. Don’t worry: your sun sign has not changed, no matter what you’ve read online this week. There is no “new” zodiac. There is no 13th sign in the zodiacal system used in western astrology, and the dates for the western signs have not changed, either. The information that has been flying around the Internet combines two elements that don’t have any affect on western astrology. (a) Different systems of astrology use different zodiacs. The system common in western astrology uses the dates you’re used to. Other systems calculate the dates and the zodiac differently. The Vedic system (from India) uses dates that are 23 days earlier. (b) Nothing has happened to change the way the western (tropical) zodiac is calculated. (b) The western (tropical) system uses signs based on constellations that are in the sun’s path. The constellation Ophiuchus, the so-called 13th sign, is not in the sun’s path. *Near,* yes, but so are lots of other constellations. The three longer explanations I recommend are by Rob Brezsny at Free Will Astrology, Gary Caton at Soul Sign Astrology and Eric Francis at Planetwaves.net. Astrology igniting in public discourse — sounds like double-teaming by the Jupiter/Uranus conjunction (sudden, shocking, electric shifts in collective viewpoints) and the reawakening of the Gemini/Sagittarius eclipse cycle by the Gemini lunar eclipse on the solstice. Did TIME magazine include input from an astrologer in this breaking news? No. How many of you ran to an astrologer for an explanation? Lots. It’s an early exercise in something we’ll be visiting a lot between now and 2013. What do we believe? What do we know to be true? How does information spread? How reliable is it? Who’s the expert? Out With the Old, In With the New, and How! The year starts with an eclipsed new moon in goal and security oriented Capricorn, which inspires us to get cracking on all the home, career and relationship changes we’ve been mulling over for 18 months or so. On the same day the final Jupiter/Uranus conjunction peaks, with one last explosion of light bulbs popping, chains breaking and frames of reference tilting wildly. Good fortune is raining down, for real. If you don’t see how, ask to be shown! Set your goals with your mind, heart and eyes wide open. Incredible progress is possible, since the skies are treating us to the rarity of some three weeks without a single planet retrograde. Read more in my new moon report, weekly weather and January horoscopes. For my eclipse reading special or 2011 astro-overview talk, visit EmpowermentUnlimited.net.